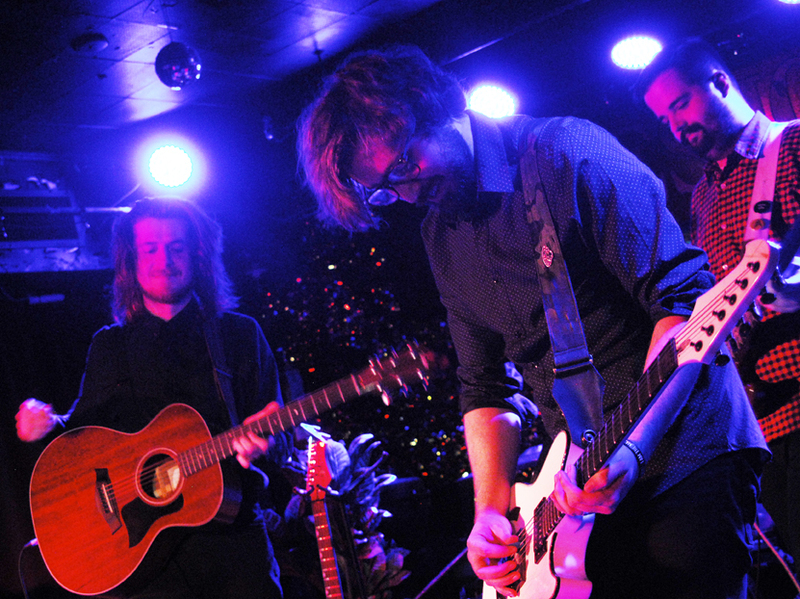 Oh Geronimo put together a party at The Horseshoe Tavern for the release of their CD The Sled. They invited out three other bands to celebrate with them. The first band on was The Greg Mashinter Band. These guys had a steady folk rock feeling to them. They kind of reminded me of Nova Scotia’s Wintersleep. If you don’t understand the reference, it is a compliment. They had a much laid back sound and they sang songs about laying down roots. These guys truly have a very Canadian sound. Their song,” Out of the ashes”, had a very warm personal touch. The next band on was The Wilderness, and they were wild. They brought a lot of high energy to the stage and the audience appreciated it. This Kingston band even had family members in the crowd supporting what they love to do. By the last song, they even brought out the cowbell and truly funked it up. Give these guys a little more time and will have a very solid following. Kingston seemed to be the theme of the night. The next band, Long Range Hustle also ventured in from Kingston. They opened with a brutally honest but very heartfelt song. They went into a pop song with plenty of sensibility. By the third song they added a very happy bounce that got the crowd engaged. They finished their set with a very heavy drum pounding that turned into a multitude of a pop anthem and a dance that had you dancing out the door. You couldn’t leave just yet, this was the moment for Oh Geronimo to shine, and shine they did. They opened with their title track, “The Sled”. They seem to carry a good blend of 70’s and 80’s sound that makes sense to the listener. And the listener did more than that because you can hear them sing nearly every song this band played. The crowd was a young crowd, a whole whack of 20 somethings having a good weekend with this band. The Horseshoe was nearly sold out and the dance floor was packed with people coming to discover a new band that they could appreciate. Near the end of their set someone bought the entire band a round of tequila to celebrate a joyous evening. It was clear at that moment the lead singer had not acquired a taste for tequila. If you see Oh Geronimo playing anywhere, I urge you to go check them out and to prove me wrong that this is not an awesome band.